Homes and businesses usually have a controlled climate year round, but winter can cause situations when the heat goes off just when you need it the most. 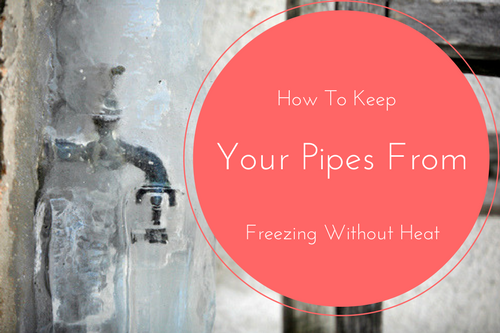 There are things you can do to keep your pipes from freezing without heat, but it does depend on factors such as how low the temperature will go and how long it will stay that way. Follow these suggestions for protecting your plumbing during a cold snap or when the temps will turn frigid and stay that way for a period of time with no heat. 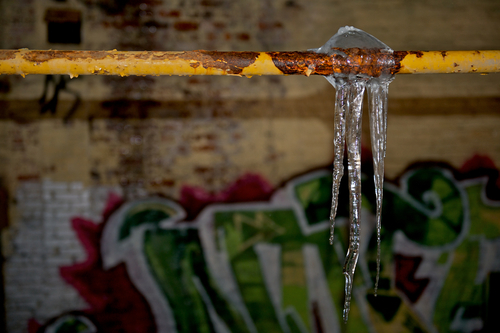 At what temperature should homeowners be alerted to the danger of freezing and bursting pipes? The exact temperature is hard to guess as climate is very different from state to state. However, according to research conducted by the Building Research Council at the University of Illinois, the temperature threshold for pipes to freeze without heat is 20 degrees F.
If it is freezing outside and you do not have heat inside overnight, flowing water can keep your pipes from freezing. It is not the movement of water that prevents ice from forming. It is the heat that the water has in it, which is picked up underground. The ground is warmer below the frost line. It is not tropically warm, but it is above freezing. 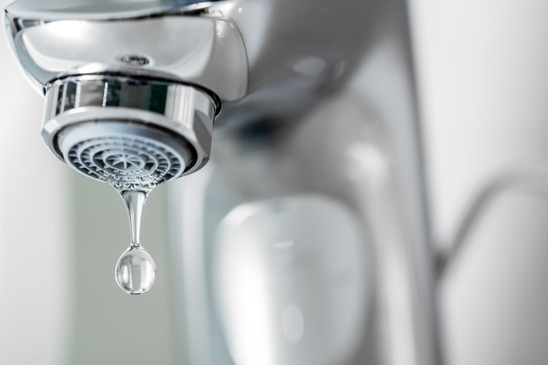 With a trickling faucet, water with residual heat is kept flowing through the pipes. If there is no flow, then the water that is stationary in the pipes will lose their heat and freeze. Experts recommend for buildings where the heat stays on and has an occasionally frozen pipe during particularly frigid weather recommend this trick. If there is no heat, then both the hot and cold side needs to flow at a higher rate than a trickle. A safe heat source is needed where the water is flowing to prevent it from freezing and clogging the sink. Also, the flow has to be fast enough to prevent ice from forming inside the drains, which can result in the need for a sewer pipe repair. If the heat is going to be off longer than a day and the temperatures are going to remain below freezing, then winterization of the plumbing system can prevent costly repairs from being needed. The procedure is pretty straightforward and fast. Shut off power or gas to the hot water heater. Empty hot water tank by opening drain spigot. Open cold and hot water faucets at the lowest level of the building. Pour approximately 64 ounces of non-toxic propylene glycol antifreeze into the dishwasher. Start dishwasher to let antifreeze flow through the pump. Shut off clothes washer water valves, and disconnect hoses. Set to warm wash/rinse, and start washer for a couple of seconds to clear inlet valve. Pour 64 ounces non-toxic antifreeze in the washer, and run on drain cycle to fill pump. Flush all toilets, and pour 64 ounces of non-toxic antifreeze into bowls. Pour 32 ounces of non-toxic antifreeze down each sink, including garbage disposal side. If you have a crawlspace that has any exposed sewer line, dripping water can quickly build up as ice and freeze a sewer line solid. This can result in a leaking sewage pipe when it thaws. If you do not remove the water meter, you need to be sure no water is flowing through your water lines, not even a small steady drip. To help keep any exposed sewer lines from freezing, pour a liberal amount of non-toxic antifreeze down the drain. This will help prevent freeze damage to a sewer line, pipelining, U-traps and more. 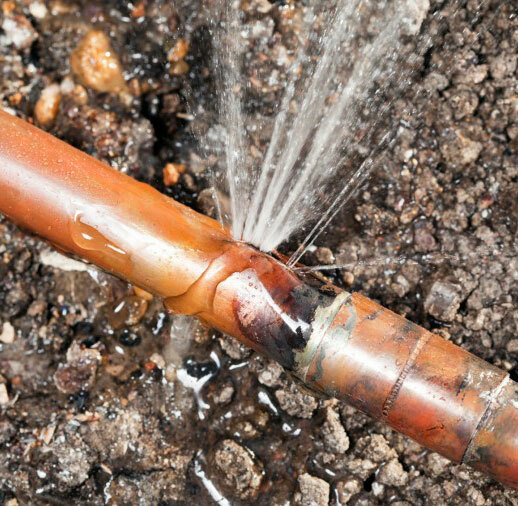 Before considering your emergency pipe winterization complete, think of any other areas in your home or business where water flows, including drinking fountains, humidification systems, and sump pumps. If the temperature is going to remain below freezing, all water needs to be drained from tanks, lines, and valves. Drain lines and pumps need water displaced with non-toxic antifreeze. The importance of using the pink non-toxic propylene glycol antifreeze is because even a tiny amount of the ethylene glycol variety of antifreeze is highly poisonous. Contact us to help you prepare your plumbing for winter and keep your pipes from freezing!